This is the most diverse and unique racing game which has a futuristic theme. You will be racing bikes and will be pulling off different stunts on a large variety of tracks. 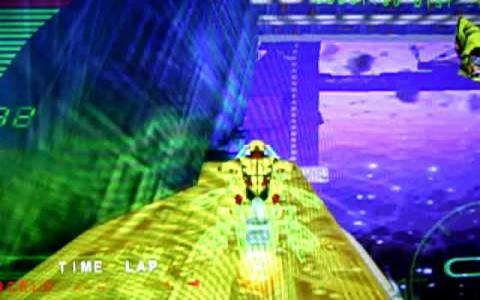 The tracks have been set in the virtual world which has been supported by some great 3D graphics and background designs. The designing of the tracks is so unique that you will get the most diverse and thrilling racing experience. You can customize the features of your racer in the game by changing the face color, the face type and so on. Similarly there are about 8 colors to select for your bike and is coupled with engine of 4 types. The engine types vary according to the acceleration and the grip and this call for a good selection that wil suit your style of racing. The arcade mode in the game is great which has a good variety of tracks. 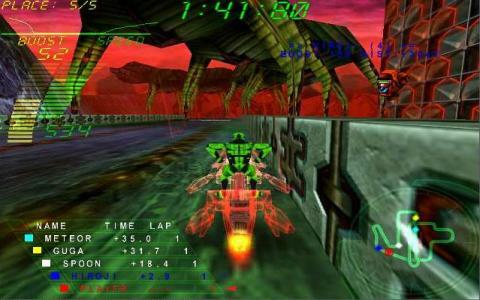 The higher or the more advance racing tracks will allow the player to boost the speed of their bike which is facilitated through the boosters that are incorporated with the engine. It also involves championship levels and a lot of other gaming options. The graphics are fine-tuned and the UI is very cool. The gameplay is as competitive and diverse as one would love and this makes this game a top notch selection. Though Mad Trax is not as good as this one, but still you will love it as well.